One Way To Organize Kids Shoes | Happy Deal - Happy Day! Girls. I have 2 of them. And in case you didn’t know, girls own too many shoes. American women on average own 20 pairs! Kids probably have more because they wear them for such a short period of time before they grow out of them. I have 2 daughters, a 5 year old, and a 19 month old. I’ve lost count the number of pairs of shoes my girls have. In our house, even when my oldest grows out of hers, I’m not getting rid of the ones that still have wear left in them because her younger sister will use them in a couple of years. 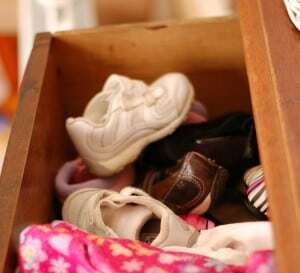 So not only do we have too many little girl shoes, there is also NO closet in our girls large bedroom! I live a modular cape cod, and the original owners just never built a closet into one of the bedrooms. Why is beyond me, but I’ve had to come up with a solution. Since we don’t have a “real closet” in the girls room, we have dressers and an armoire for their clothes that need hanging. I recently added this 6 tier shelf to organize their shoes. 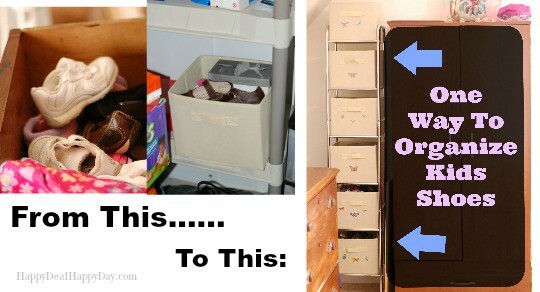 Even if you do have a closet, you can easily set up something like this in your kids closet. I did not have an organization system for the shoes. I had some current ones for the baby in random dresser drawers. I had off-season or the “Hand-Me-Down” pairs in boxes that were not labeled or easily found. It was a mess and I decided to tackle these now that I was stuck inside on these cold and snowy days. In hallway storage – which is wear a REAL closet will go someday. 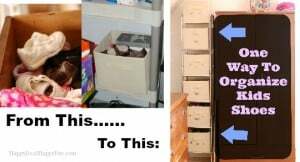 I purchased the shoe rack I think at Walmart awhile back. The bins and girly butterfly stickers I got on Amazon. Here are the links for references. – the most similar one I could find to the one I have. I have recently discovered Shoe Slotz! The kids room isn’t the only place in our house that needed help with shoes! We have a shoe shelf right next to our front door that gets to be a mess on a daily basis. Shoes get piled on top of shoes, and it is just usually a disaster. 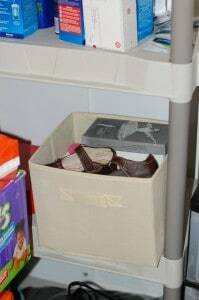 I recently discovered Shoe Slotz Space Savers that are helping solve this problem! 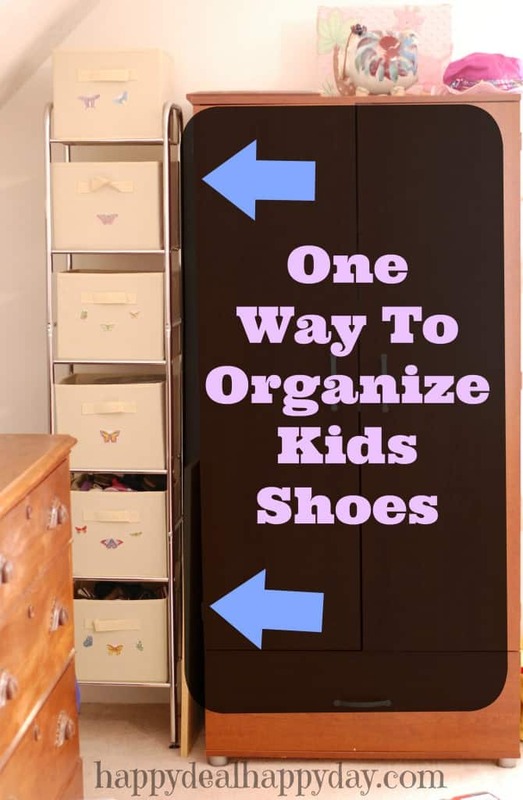 These are shoe organizers that match each pair and have them stack on top each other, without touching each other. 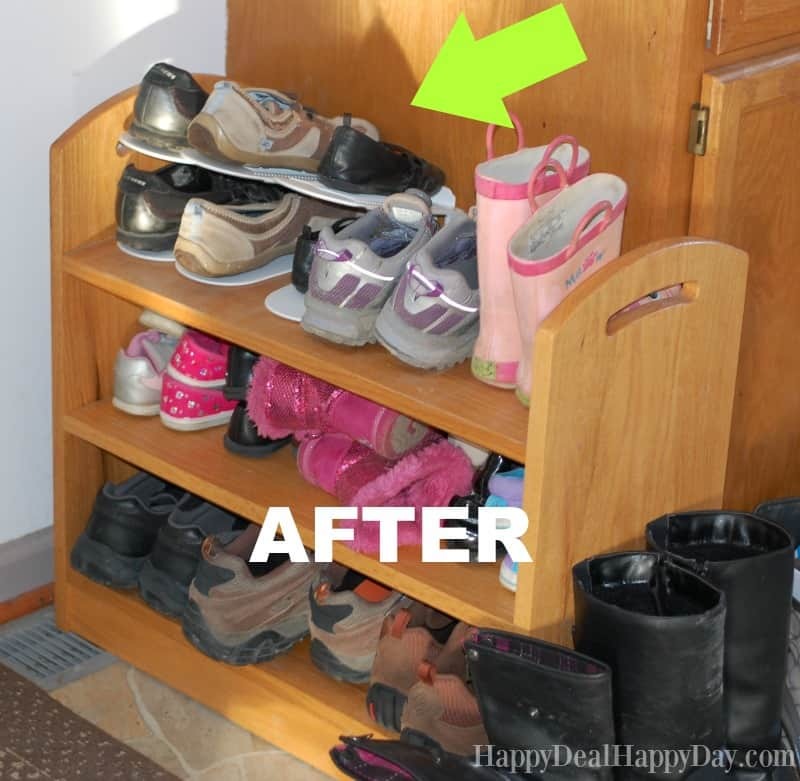 This is a huge space saver, and it keeps each pair together! I got a sample set of 3 Shoe Slotz – and the idea is pure genius! I need 20 more of these for this shelf and my clothes closet! How about you? 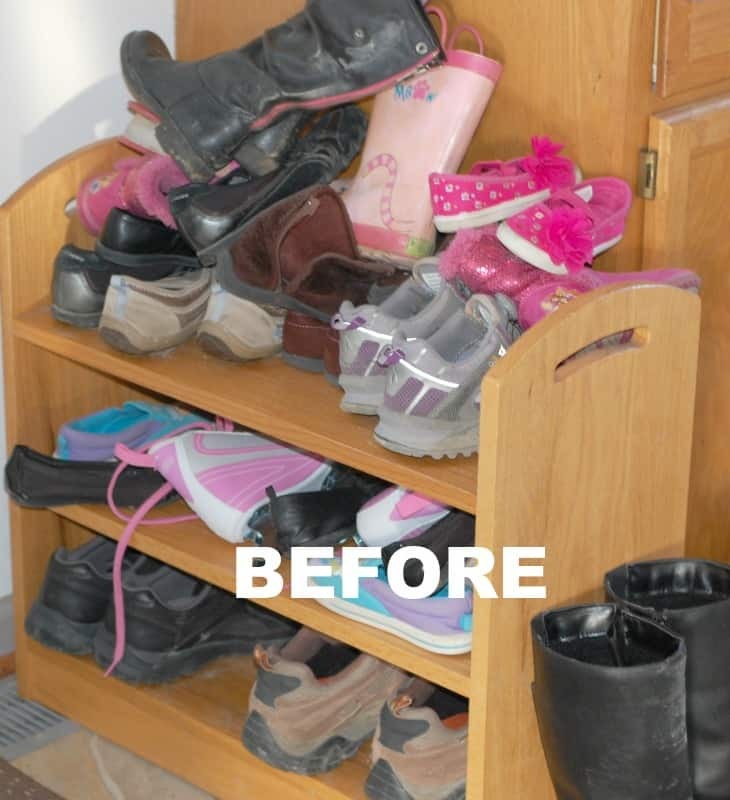 How do you organize everyone’s shoes at your house??? 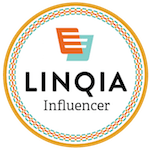 ← 6pm: Spy Optic Sunglasses – Fiona ﻿are $31.48 – Normally $89.95!